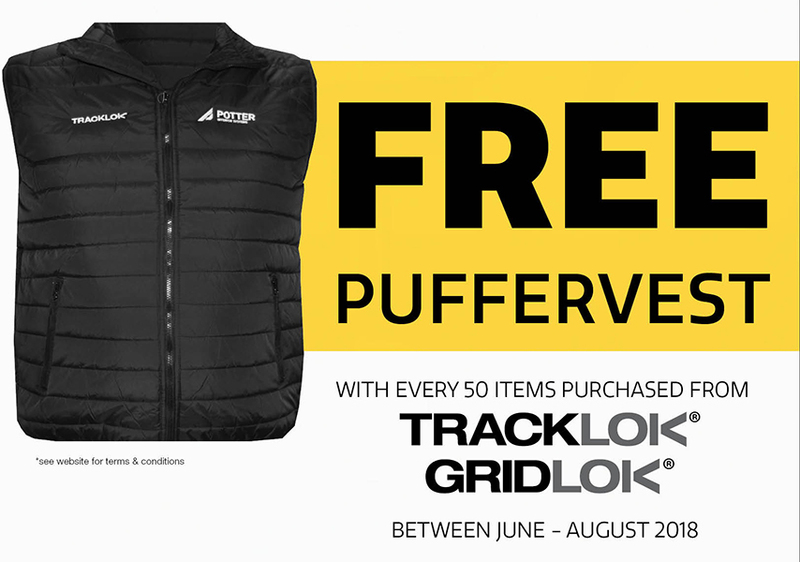 Simply purchase 50 items from the Tracklok/Gridlok range between June – August 2018 and receive a free puffer vest. *Reward valid from 1st June to 31 August 2018. Exclusive to POTTER INTERIOR SYSTEMS trade account holders. TRACKLOK products include Retro, Timba, Flat, GAPLOK and GRIDLOK. Limited stock of puffer vest available, while stocks last. POTTER INTERIOR SYSTEMS Standard Terms and Conditions of Sale apply.